typically used in access points and router platforms. identical pinout and complete software compatibility. 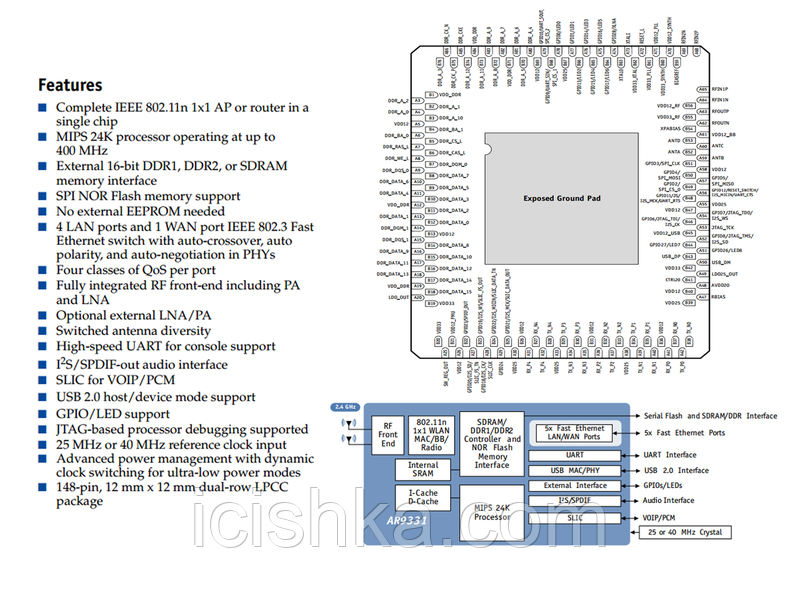 Seems to be a variant of Chip idea IP core. More information is needed. resulting in performance much closer to MIMO 1x2:1 than MIMO 1x1:1 even though it's not full MIMO-MRC. as 1x2:1, otherwise it's labeled 1x1:1. This information is related to barebox release v2016.10.0. This information is related to Linux kernel release 4.8.x. This page was last edited on 18 January 2018, at 14:26.